Magali Lara was born in Mexico City and received her BA from the National School of Applied Arts in 1977. 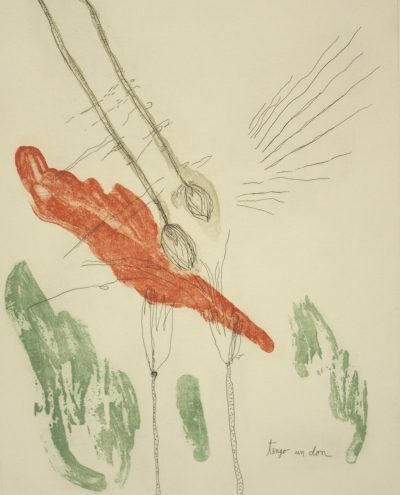 The same year she exhibited her work 'Tijeras' (Scissors), which consisted of a hand-made artist’s book containing a series of drawings, collages and short phrases along with prints of selected drawings. In 1981 she co-curated the first exhibition of Mexican contemporary women artists. She teaches painting in the Faculty of Arts at the University of Morelos and currently lives and works in Cuernavaca, Mexico.